The job of a Bank Probationary Officer (PO) is considered as a lucrative career option and a white-collar job. Every year lacs of aspirants contest for PO exams. The job offers a high career growth and prospects for a bright future in banking. Many candidates want to know about the responsibilities of a Bank PO, what kind of job they do once they are recruited in banks. You should know that a Bank PO post is the entry-level position at which a bank officer starts work after posting. Typically, a Bank PO undergoes a 2 year probation period or training and then gets the post of Assistant Manager on joining a branch. The normal prospect of this job is general banking and bank administration; however, Bank POs are expected to possess excellent communication skills and the ability to resolve conflicts in a cool and calm manner. During the probation period, they are trained for having the practical knowledge in finance, accounting, marketing, billing as well as investment. This is done by entrusting them with jobs of various categories, viz. any of the routine works such as scrolling, posting, account preparation etc. After successful completion of the probation period, he/she is posted in any bank branch as an Assistant Bank Manager to handle works on daily customer transactions, viz. passing a cheque, draft issuance, cash management etc. He/She has to work towards increasing the bank business viz. managing cash flow, loans and mortgages and finances. Another responsibility of PO is to work as public relations officer, handle customer complaints and address various customer related issues such as discrepancies in accounts, rectification of undue charges and look into complaints regarding services provided by the bank. Once he/she gets acclimatized to the bank environment and gain enough experience on bank’s working procedures, based on their personal skills and aptitude, they can be assigned more responsible work viz. planning, budgeting, marketing, loan processing and approval, investment management etc. The work of a Bank PO also includes managerial tasks, such as supervision of clerical work, making decisions for the benefit of the bank, managing cash balance etc. Bank PO has to verify all the work done by the bank clerk. All the transactions of bank involve the role of maker and checker. For example, in cash transactions, if the clerk is the maker, then the PO is the checker; in case of loans, generally, he/she is the maker and bank manager is the checker. The responsibility for losses resides with the checker. He/she takes care of the loan related documents and performs on-site visit of the loan taking parties as and when required. A Bank PO issues ATM cards, checkbooks, Demand Drafts etc. One of the most important aspects in the life of a Bank Po is that he should be aware of all the latest developments of the bank. They are required to read all the circulars and should know about all the decisions taken by the bank management. The career growth prospect of a Bank PO is very high as compared to other government jobs. Based on your skills and performances, you can quickly climb the ladder and attain high-level banking posts in your zone. All that is required on your part is strong determination and good preparation so that you can clear the Bank PO exam and the interview successfully. Many individuals aspire to become Bank PO because this job promises high career growth. This job basically involves supervision of the clerical works and work towards increasing banks business by implementing better services. So, prepare well and crack the exam, and you are ready to enjoy the life of a Bank PO which will give you new opportunities. 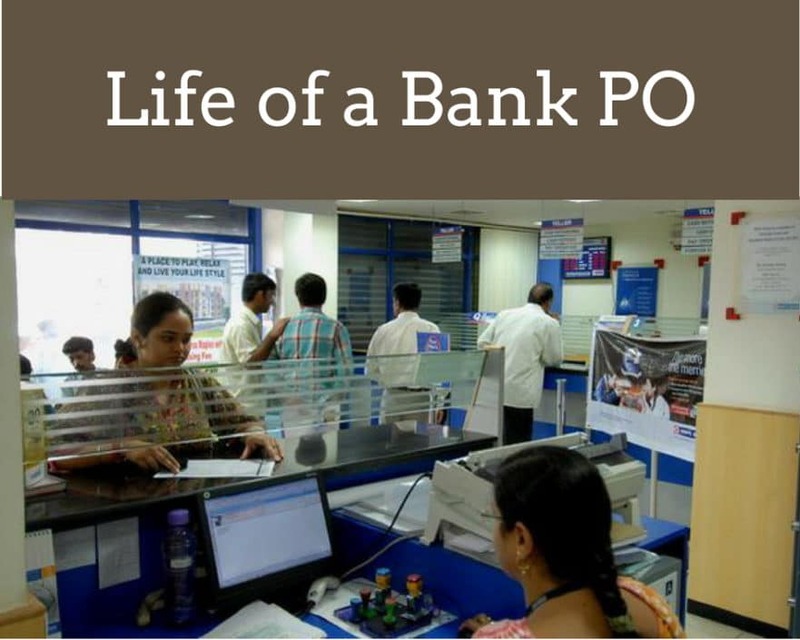 In this post, we have explained all the important responsibilities of a Bank PO right from the beginning of their tenure. We have also mentioned what are the growth prospects once you become a Bank PO. It clearly indicates how promising this career is. So, people should appear for the entrance tests and secure their seats as they can observe a steady and promising growth in this sector. You can also refer to another post which explains The Career Path of a Bank PO. ExamVictor has created an amazing and comprehensive course which addresses the entire requirements of IBPS PO exam and SBI PO Exam. If you like this post and want to know more about our course, then please click on the link given below. Looking for IBPS PO or SBI PO Exam Coaching? You have come to the right place! We offer comprehensive online coaching for Bank PO. We also offer comprehensive study material for these exams which you can access online or get at your doorstep through speed post.